Brenda Robinson is an entertainment attorney and Chicago native whose practice focuses on intellectual property and entertainment matters on behalf of clients in the music, film, television, sports and social media industries. Brenda has provided legal counsel to numerous recording artists, musicians and composers, actors and actresses, production companies, authors, arts organizations, athletes, entertainers and social media influencers. Brenda is a graduate of the University of Michigan and obtained a law degree from the University of Pennsylvania Law School and a certificate in Business & Public Policy from the University of Pennsylvania Wharton School. She splits her time between Chicago and Los Angeles. Brenda is a proud associate member of The Recording Academy and a Patron of the Arts Circle of Film Independent where she is a voting member of the Spirit Awards. Brenda is also an active philanthropist in the arts and entertainment community. In addition to her work with Chicago Media Project, she currently sits on the boards of the Lookingglass Theatre Company, the Lyric Opera of Chicago and the International Documentary Association (IDA). 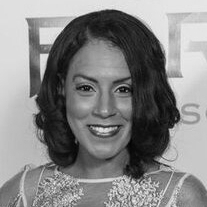 Brenda has acted as production counsel and executive producer for numerous documentary and feature film projects as well as scripted and unscripted television programming.